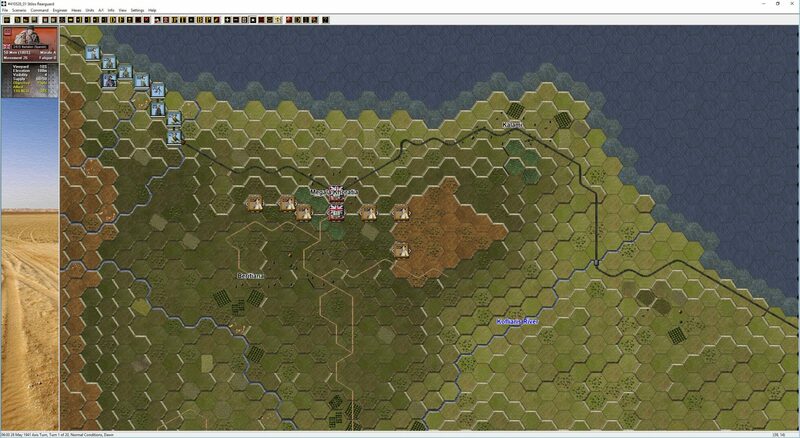 As promised, we’re going to provide an update on the state of Panzer Battles 3 in this post. We’ve been working on this title since the release of Panzer Battles – Normandy in December 2015. Normally, a title has an 18 month to 30-month gestation period – as we cross the 18-month mark for Panzer Battles 3, we’re looking at a longer development cycle. That said, we became an independent studio in August 2016 and that has added a lot of overhead – web pages, blogs etc. 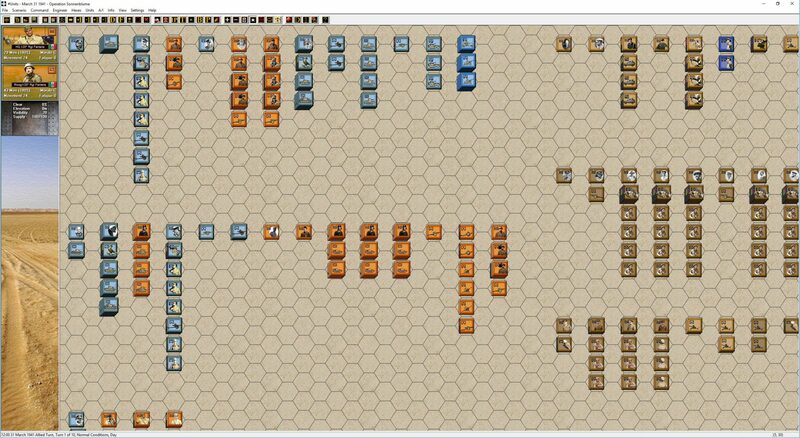 Additionally, we have released the Panzer Battles Demo (almost like a full release), prepared upgrades for Panzer Campaigns and created our own builds with new features for the existing Panzer Battle titles. Write documentation including briefings, player’s note’s and Getting Started documentation. Where necessary update the game manuals for new game features. For the scenarios, we currently have thirty-two completed and in the test cycle. These cover four of the eight proposed operations we hope to cover in the game. Ideally we would have sixty plus playable scenarios in the final game release. Currently there are a further sixteen ‘reference’ scenarios laying out the various order of battles and game maps. 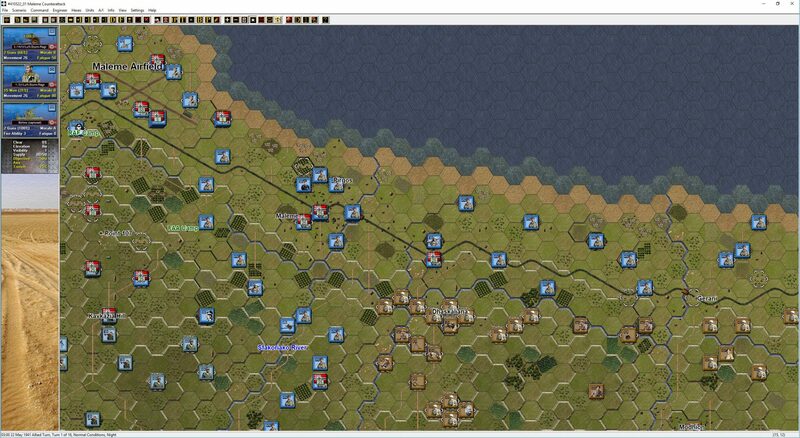 We’ve already released information on two of the operations we’re including in Panzer Battles 3. The first is Operation Sonnenblume (Sunflower) coving the arrival of the Afrika Korps in North Africa. 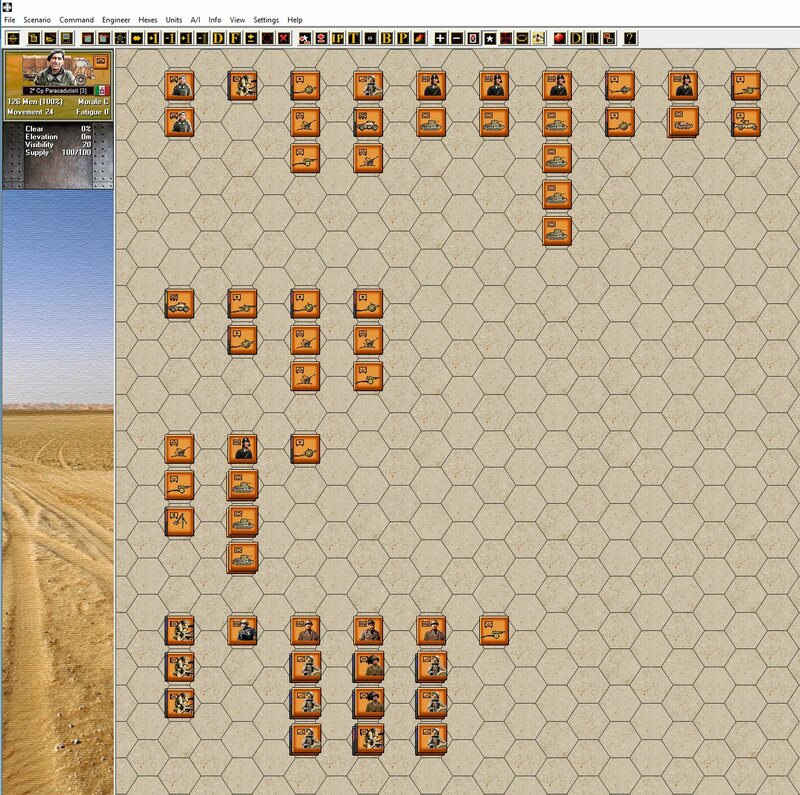 The Mersa el Brega scenario that was included in the Panzer Battles Demo is from this operation. 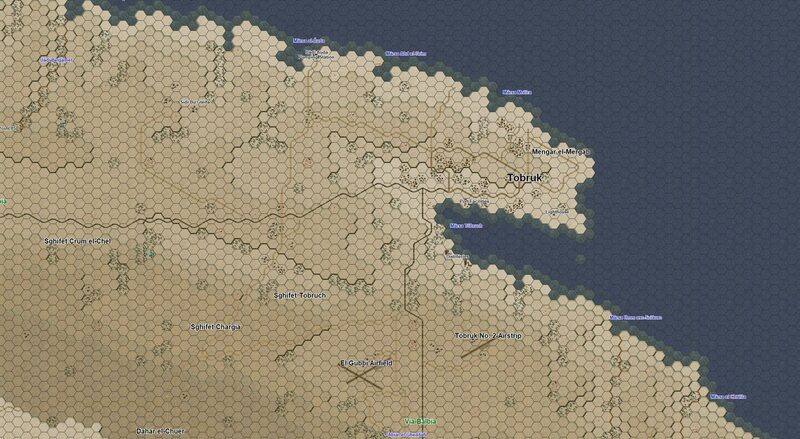 Crete is the second operation that has been publicly shown through our ‘So you want to design a War Game’ blog series. 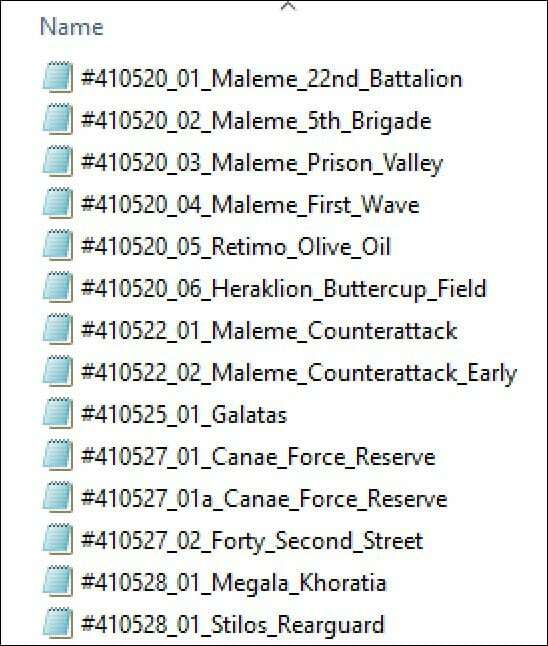 We have almost completed all the scenarios for the Crete operation with fourteen done to date and the need for play against the AI and other variants to be determined during testing. Julian Shales book is built up from primary sources and based upon his description we expect to revise the Mersa el Brega scenario quite significantly. His book also covers off a range of operations that we had little data for and has some fascinating comparisons of various weapons systems as well as their effectiveness. He has a particularly insightful view of the performance of the 88mm Flak gun in the anti-tank role from contemporary accounts, that may surprise as it was not as ‘feared’ as many currently believe. 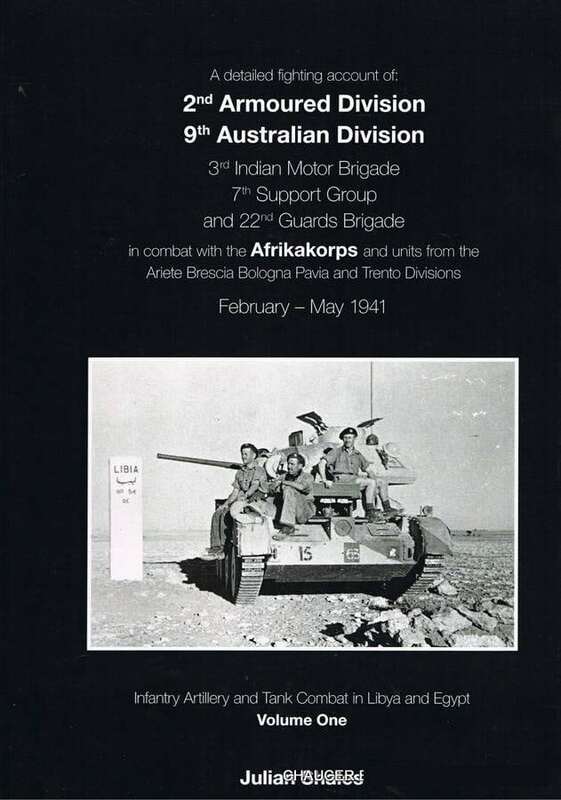 If you have an interest in the initial operations of the Afrika Korps, from March ’41 to May ’41, this is a must have book. The Mobile Force/7th Support Group’s Columns fighting Panzer Abteilung Hohman and Gruppe Herff in the Frontier area 11th April – 14th May is something I have not seen documented in any depth, anywhere else. The second volume covering Operations Brevity and Battleaxe is expected out later in 2017. The testing of the scenarios has been very interesting. As expected, there is a low density of units and room to manoeuvre. The forces on both sides have a range of strengths and weaknesses with variation coming less from difference in the technology of the weaponry than the quality of leadership and training. Many of the Allied forces (particularly the initial Commonwealth Divisions) were worthy opponents for the Germans. The other interesting observation is the role the Italians play. Other than the initial push into Egypt that led up to Operation Compass, the Italians are not the patsy’s history has written them up to be. The 1941 Italians were quite good units with only their leadership and logistical support letting them down. The Italians made up the bulk of the Axis forces for the whole North African campaign and were effective, particularly on the defence. We are not planning to release details on the other six (potential) operations just yet, but we’re confident that we will get a good range of tactical and operational situations. The jury is still out on the value of including campaigns (linked scenarios that follow a branching dialog) as we have had little feedback or evidence of these being played when first released with Normandy. We will probably poll the community to get their opinion. Finally, for reference, we can get a few scenarios done each week dependent on how much time we can dedicate to the game. Unfortunately, there is always lots of distractions such as having to write this blog(! ), but be aware we are making solid progress overall. I’m looking forward to moving onto step 13 – Documentation as that is an indication that we’re almost done. Here are a few more shots from in-game. looks great, can’t wait to buy the games. Has your map designer thought about reversing the colors for the hills, lighter colors on the top darker for the bottom like in the real world. Also adjusting the forest/woods to give the tops of them a lighter look. Overall looks great so far. When will this new palette/map be available for download? I have only changed the Crete palette at this point. I may look at including the new palette as an option in the other games when they are next patched. I’ve been waiting for a game like this. I will be the first to Paypal you folks when it’s ready. Give me a buzz. I am very impressed with the research and the “looks” of this title. The Italians usually get “short shrift” in the popular imagination, and am so pleased that your prefer to rely on documentation and primary sources for an accurate assessment of their military strengths and weaknesses. I would love to see a game feature that allows me to trace – turn by turn – the movement of at least one or two units. My rationale is simply this: when playing the PB Normandy game, I move up mine-clearing units which locate and clear minefields, but then, in subsequent turns – forgetting the exact path of these units – I wind up not replicating their exact forward path and have other units run into hexes which have not been checked or cleared. I know that the fault is my stupidity, but there are so many things to keep in mind that I believe this feature would make life a lot easier. Also, while I have your ear, I would love to see a feature for scattered airborne units (parachute and glider) which – when clicked – would draw a temporary line to their scattered “brothers.” Maybe it is just my eyesight, but I spend an inordinate amount of time tracking down scattered units for combination. That said – count me in for a purchase of this and all future titles – I am very, very impressed with the work done. Unfortunately, there is no plan to track prior turns at this point. Of interest there was regular casualties from mines in areas thought swept or clear by friendly forces. 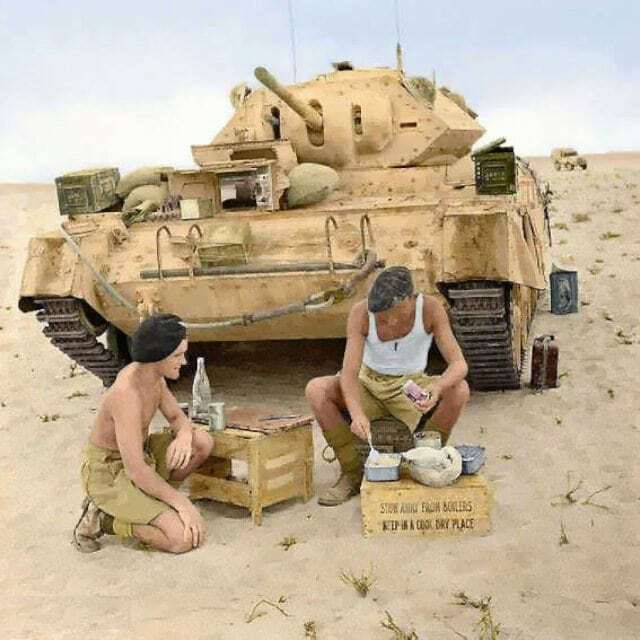 There is a story from Kursk of a Tiger company supporting III Panzerkorps attack that lost 12 out of 14 vehicles in the initial advance to contact due to friendly mines that had been laid without sufficient mapping. The failure to share information between various units was endemic and with WW 2 communication technology rarely time to inform units in contact of all the threats they faced. Your experience is actually quite realistic! As far as scattered paratroops – use the ‘Highlight Org’ Icon or press shortcut key ‘Q’ once you select one of the paratroop units. The other related units will be highlighted. Keep in mind thi sis usually giving you more control than the actually commanders had in their day. Your comments make perfect sense. I often worry about the omniscient “God” factor in games (the player knowing much more about the overall situation than was possible). Thanks for the correction. 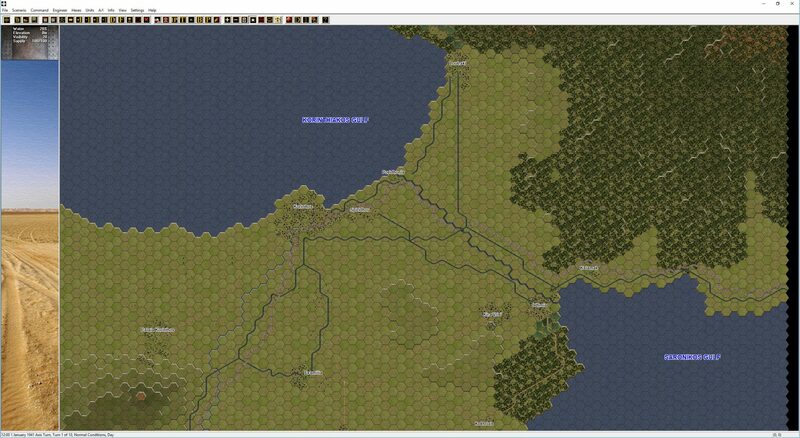 “Down the road,” would you have any plans to expand PZB series to WWI? I am still waiting for a decent game on the Isonzo front of WWI (The Operational Art of War scenario was not to my liking). I would also love to see gamed the Russo-Japanese undeclared conflict at Khalkhyn Gol (Nomonhan). I just finished Coox’s massive two volume tome on the subject – excellent read! 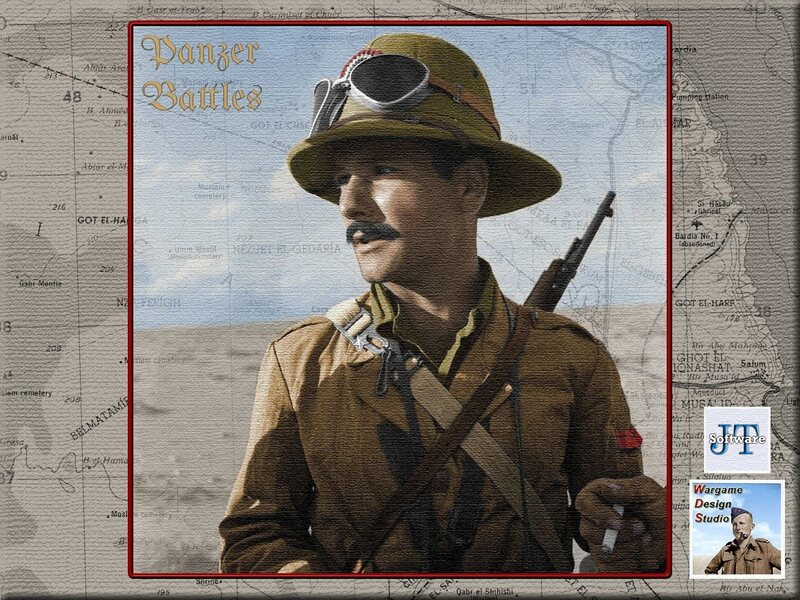 Nice update, i like how looks the PzB3 title, mix crete+north Africa sounds great, maybe i am curious about what you plan cover in Africa area… 8 operations in title… i think in 1-Crete 2-italian offensive 3-Compass 4-germans enter 5-Tobruk siege 6-Brevity 7-Battlexe 8-Crusader (that is maybe the biggest operation because has a lot of phases, even in PzC Tobruk41 was covered the defensive combat after axis retreat). WWI has a good point in Middle east (Sinai, Gaza…) and Pacific… cover China is interesting but maybe more in a superior level and not at PzB scale… maybe is possible create tematic titles and do like in Salerno-demo-PzB3 and mix in a “Rising Sun blitkrieg” Phipines as base and complete with other actions in the area… or Burma+combats in chinese colonies. I am so glad to see PB continue to more titles and your choices are superb. It doesn’t matter what you cover, I’ll buy it asap. I’m also very pleased to read about the updates to the older PC titles. Favorites of mine and I’ll even purchase a second release of all the titles, as I did the first. I’ve updated most of them for maps and graphics, but I would be happy to get the games “officially” updated. The hours of enjoyment already delivered far exheeds other series. May I please make a suggested improvement re: gameplay? After accessing the artillery dialog and going through the available artillery sources, it is quite annoying to move down the list, firing those pieces chosen to fire and – after a fired artillery piece receives either counter-battery fire or – in the case of mortar units in close proximity to enemy units, direct fire – to have the list “jump” back to the beginning of the list. This means that I have to go through the list again and take up where I left off. In no way am I a programmer, but it seems “easy” to have the list remain at the last fired piece. Goodness gracious, is it soup yet? The year is coming to an end, and I want my third PB title! It is too cold here and I would rather be battling it out on the Southern Front! The demo has whet my appetite and I hunger for more. just downloaded your Panzerbatles demo. I have a suggestion regarding your unit box (lower left hand corner). When I right click on that box, it is almost impossible to read the data…….specifically ……range to target. This is true in this series as well as your “Gold” games. This unit box should zoom to a readable size when we click on the box. Or just make the data (range ect) font size the same size as the font size in the unit box. Also…….never put white text on light background. I have seen that in Stalingrad 42 Gold. Please stick to black fonts on the unit boxes.